Last summer, when we moved into our new house, I had to say goodbye to my dressing room & downsize to a considerably smaller closet. 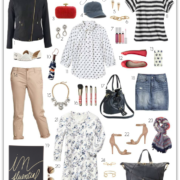 This meant rethinking how I would organize my clothes, shoes & accessories + getting creative with storage solutions. 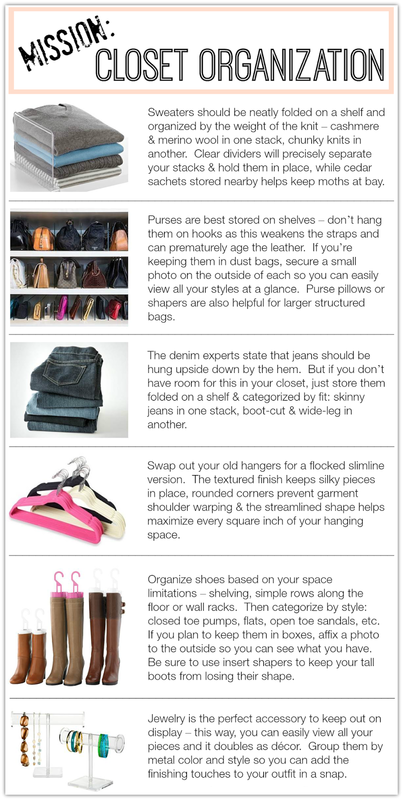 I recently received an email from a reader asking for closet organization tips, so I thought this would be a great opportunity to share a few ideas + some items that I can’t live without. Before you get to work on organizing your things, I recommend doing a thorough closet purging first. Once you’ve edited your wardrobe, you will have a much clearer picture of what you have to work with. I’ve put all my top tips into an easy to use one-sheet so you can Pin It for later or print it out for quick reference. And be sure to check out the links below for my must-have closet accessories, plus clothing & shoe care products! Great tips! I never knew jeans should be hung upside down.